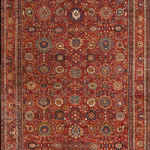 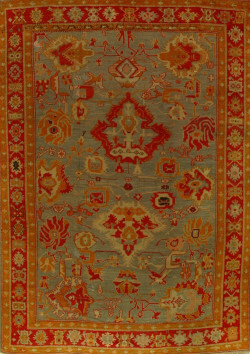 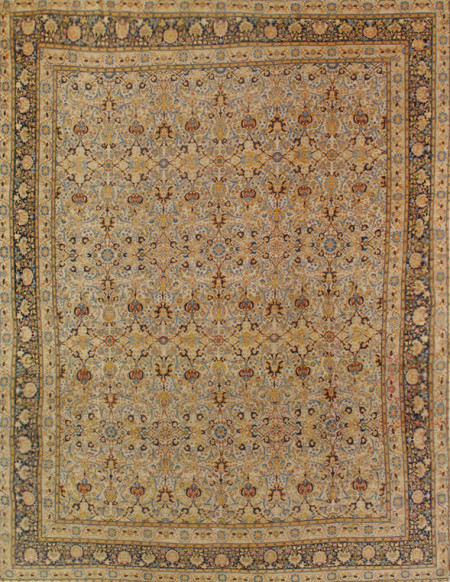 Kerman Rug-200719 This very closely woven Kerman is a nearly exact copy of the famous “Ardebil Carpet” presently in London’s Victoria and Albert Museum. 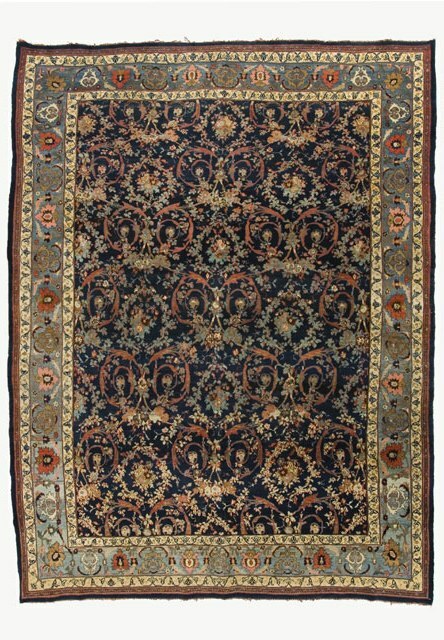 The gold pendanted central medallion and matching corners contrast effectively with the deep blue field covered with layers of flowering arabesques. 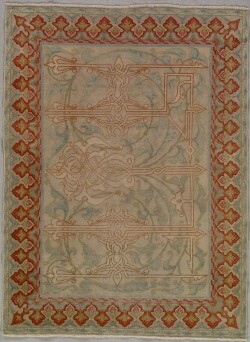 the red main border displays complex cartouches and octofoils.